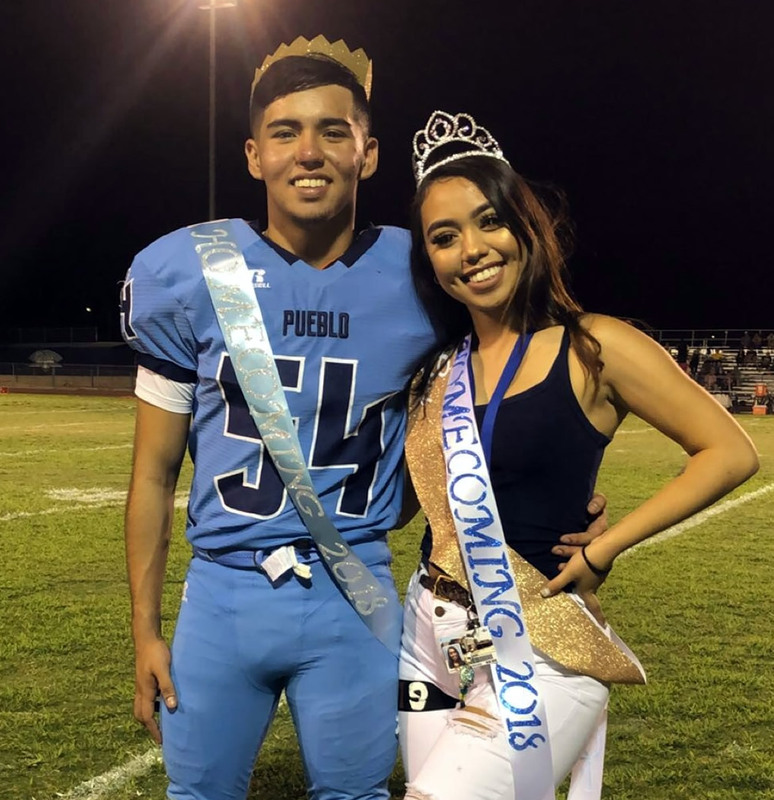 Homecoming celebrations would not be complete without the traditional crowning of our king and queen—Pueblo’s royalty. 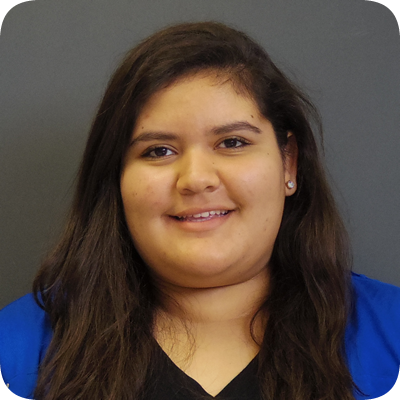 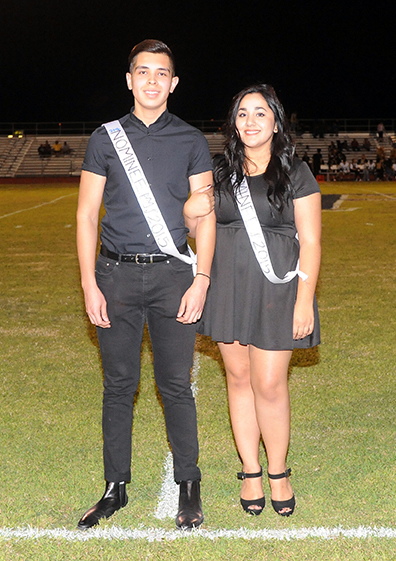 This year’s contenders were seniors Sergio Cordova, Sabrina Parra, Zelin Pallanes and Gelsey Grijalva. 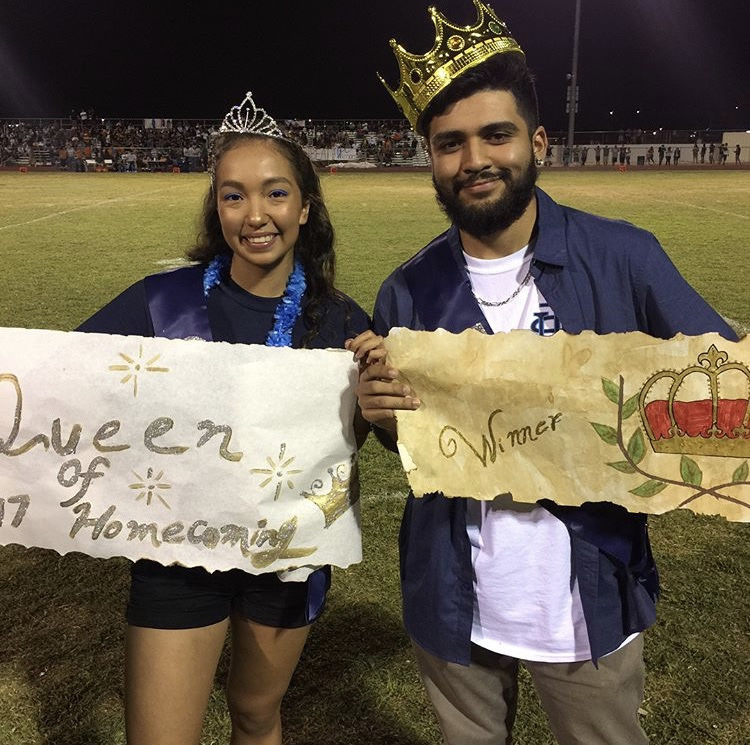 During halftime, our Warriors’ choice was announced: King Zelin and Queen Gelsey! 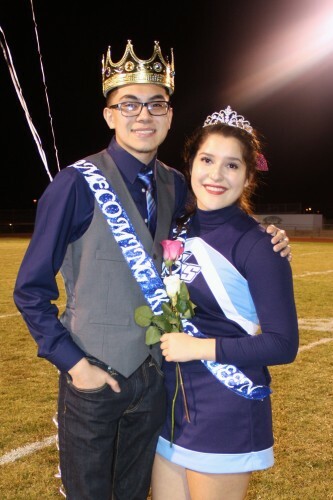 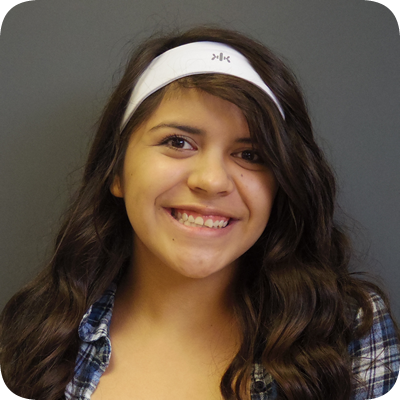 Grijalva, who is a member of the Spirit Line, accepted the crown with great surprise. 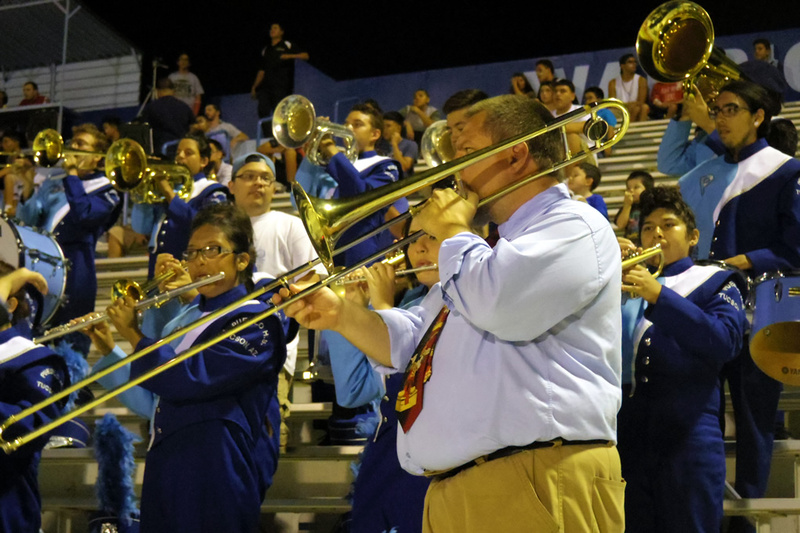 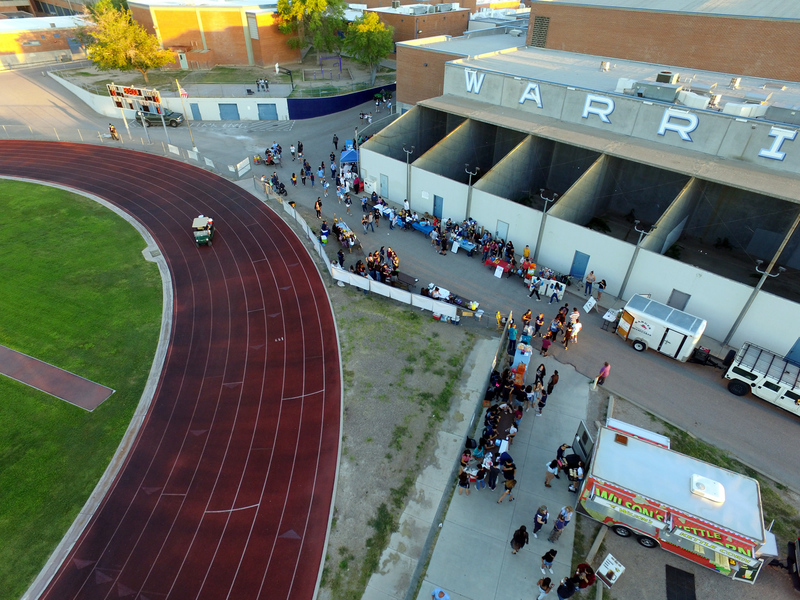 For the rest of the evening, Pallanes and Grijalva cheered on their Warrior team. 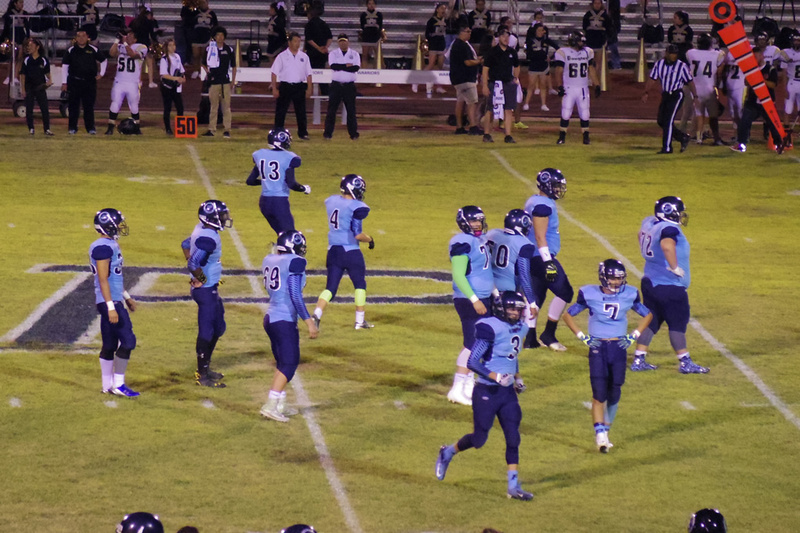 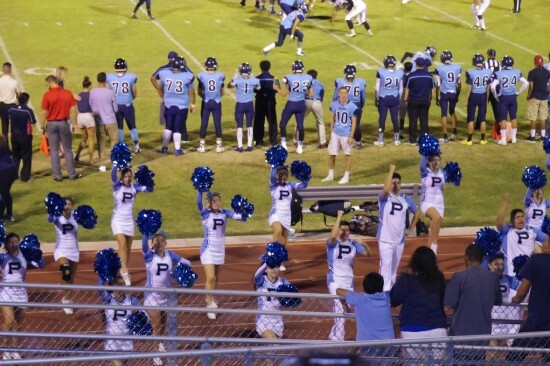 In the end, Pueblo defeated Empire by a score of 47-27.